As the economic climate continues with little sign of improvement, more and more people are finding themselves in financial difficulties. For those experiencing these problems, the issue doesn’t necessarily end with the problem itself. Often, the real difficulties can come later as a result of a poor credit rating caused by missing payments, defaulting on credit agreements or obtaining CCJ’s. Most people don’t even think about their credit ratings until they find themselves being turned down for something, and this doesn’t even have to be a large purchase like a car or house. Typically, when someone is turned down for credit and they ask why, they are referred to the credit reference agencies of Equifax and Experian. These credit reference agencies will supply you with a copy of your credit report for a small fee, and these reports can be requested by post or online. It can be a very useful exercise to obtain a report as many people may be surprised at just what details are held there. 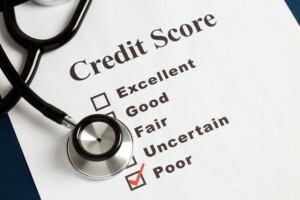 The most obvious problem that a poor credit score can cause is the difficulty or even inability to obtain credit, although there are various credit cards for poor credit available. Having poor credit can result in being turned down for credit cards, store cards, instant credit, personal loans and mortgages. In addition to these hindrances, there are also further potential consequences that may not seem so obvious. For example, you may expect to be turned down for a mortgage, but many private landlords will now perform credit checks before renting out a property to a potential tenant. Another issue that may not seem obvious is that a poor credit rating can mean being turned down for a bank account with a debit card facility. Basic bank accounts are available without debit cards to people with poor credit scores, but these come with consequent limitations, such as not being able to rent a car or book a hotel room. So it seems that if you are looking at improving your credit rating, simply keeping up with your rent will be even more significant in future.